Game. Set. Match. 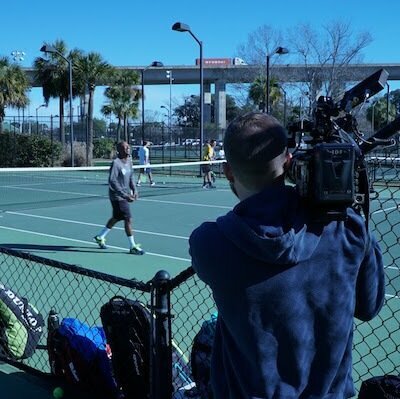 Our Charleston camera crew, Dave Baker, and his apprentice, Ryan Brower, hit the court with Obviouslee Marketing to highlight a great foundation for this year’s Volvo Car Open. The South Carolina Junior Tennis Foundation is on a mission to train up-and-coming tennis players and give them the means to play at the collegiate level. 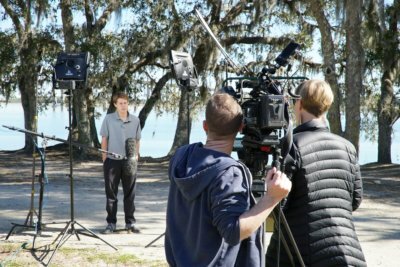 Our Charleston camera crew was on a mission to get them the best footage possible to showcase their cause at their inaugural gala. We went behind the scenes to get interviews, B-roll, and watch an actual match! All on the beautiful Daniel Island in South Carolina, right where the Volvo Car Open is held in the Volvo Car Stadium. There were four parts to the video that SCJTF wanted to accentuate. Part one was all about how the foundation got started. The story includes a love of tennis, a great vision, hard work, and lots of help from the community. Part two was all about their statewide initiative. 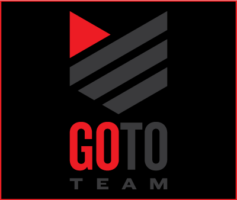 From ambassadors to fundraisers, they are supported from the coast to the mountains of the state. Part three was all about their Lowcountry initiative. Similar to statewide, but they wanted to speak to kids from the Lowcountry about their involvement. They got real-world stories about how the foundation is working. Part four was all about the call to action. They were asking people at the gala that felt inspired by the mission to donate their time, money, or whatever else they could. The Volvo Car Open is the largest women-only tennis tournament in the US. Because of their support, the SCJTF was able to happen. It is a fairly new foundation, but it’s already thriving and will be showcased at this year’s event. Our Charleston camera crew was able to help this great foundation before the event and will be there this weekend to follow up with them. We are honored to be involved with the Volvo Car Open again this year. It’s right in our backyard of home base in Charleston. Strong women. Successful foundation. Ace shoot.